Place the mascarpone and sugar in a large bowl and whisk until thickened. Set aside. Place the coffee and crumbled biscuits in a medium bowl, mix to combine and allow to soak for 1–2 minutes. Divide one-third of the biscuits between 4 x ½-cup-capacity (125ml) glasses. Top with half the mascarpone mixture. Layer with half the remaining biscuits and the remaining mascarpone. 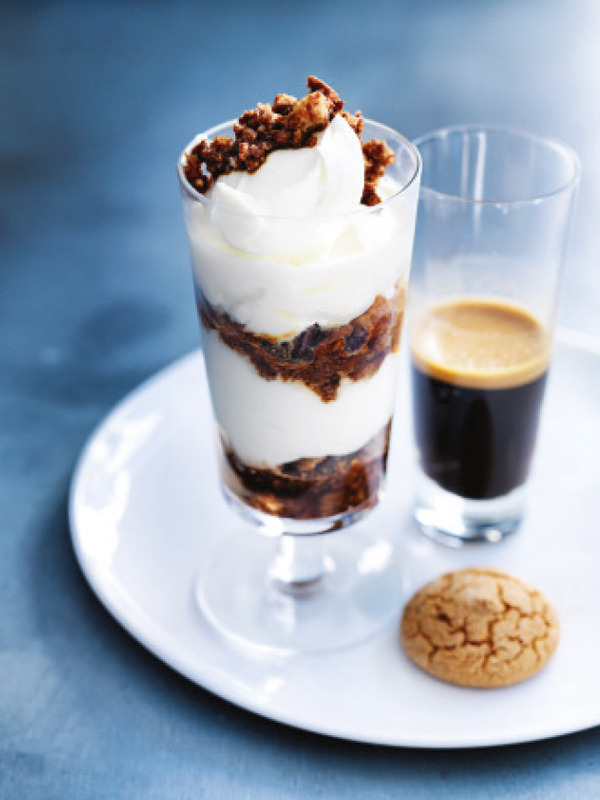 Top with the remaining biscuits and serve with extra amaretti biscuits and espresso coffee. + You can use strong instant coffee. Simply add 2 tablespoons of instant coffee to ½ cup (125ml) boiling water and mix to combine.